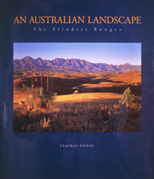 These books will give you a better understanding of the Flinders Ranges. While many are available from good bookstores Australia wide, the older books may not be generally available. You’ll need to search the antique and second-hand bookstores for copies. 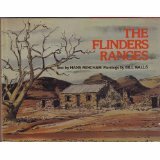 These older and often out of print books will give you an insight into the earlier days and history of the Flinders and are well worth trying to get a copy. The State Library in your capital city may have a copy. 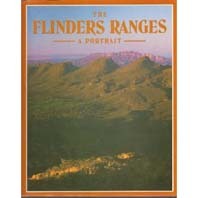 Australian Geographic - the Flinders Ranges. By Matthew Cawood & photography by Mike Langford. Pub. by Austraian Geographic P/L 2000. Discover Australia’s National Parks and Naturelands. By Michael & Irene Morcombe. Pub. by Lansdowne Press, NSW, 1983. Explore the Flinders Ranges. By S. Barker and McCaskill, Murray (Eds). Pub. by RGSSA Adelaide 2005. Flinders Keepers. By Kerek Robertson. Pub. by Lynton Publications, Blackwood, SA, 1976. Flinders Ranges National Park. By Ronald Cohn Jesse Russell. Pub. by VSD. Flinders Ranges: South Australia. By Avis Quarrell. Pub. by Covell Publications, 1985. Glovebox Guide the Flinders Ranges - Australian Geographic. By Matthew Cawood & photography by Mike Langford. Pub. by Austraian Geographic P/L 2000. In the heart of the Flinders Range. By Margaret Vanston. Pub. Adelaide : (Hunkin, Ellis & King) 1949. The Flinders Ranges — A Portrait. Text by Hans Mincham, et al. Photography by Eduard Domin. Pub. by Little Hills Press, NSW, 1986. The Flinders Ranges : a rugged grandeur. By S. Netley. Pub. by State Publishing, 1992. Field guide to Chambers Gorge. 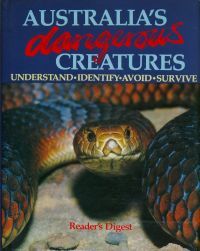 By Graham C Medlin, published by the South Australian Museum, 1993. The SA Country Fire Service (CFS) in partnership with the Department of Environment Water and Natural Resources (DEWNR) has published a series of high quality map books covering most of South Australia, including Southern Flinders Ranges. The second edition of the map books are produced by DEWNR and are known as Emergency Services Map Books, and includes a Mid North book. An Ancient Landscape Flinders Ranges, South Australia. By Norm Hamdorf. Arkarool-Mount Painter in the Northern Flinders Ranges, SA: The Last Billion Years. By Reg C. Sprigg. Pub. by Arkaroola 1984. An Earl’s Son — The Letters of Hugh Proby. By Louise Neal. Pub. by Donald & Louise Neal, 1987. An End to Silence. Exploring in the Seventies by Alfred Giles. By Peter Taylor. Pub. by Methuen Australia, 1980. Arkaroola-Mount Painter in the Northern Flinders Ranges, SA — The Last Billion Years. By Reg C. Sprigg. Pub. by Arkaroola Pty. Ltd., Lutheran Publishing House, Adelaide, SA, 1989. Camel pads. By R.B. Plowman. Pub. by Angus & Robertson, 1933. Change on Change - a history of the northern highlands of SA. By N. Robinson, N. Pub. by Investigator Press (1971). Cloud Over the Gammon Range. By Alan Bailey. Pub. by Endage Print, Ascot Park, SA, 1993. Down a Country Road. With the Edmonds & Dunns of Petersburg. By Norma Edmonds. Pub. by [Burnside, S. Aust.] : N. Edmonds, 1988. Edward John Eyre — The Hero as Murderer. By Geoffrey Dutton. Pub. by Penguin Books. Published 1967. Explorations in Australia, 1858-1862 (Reprint 1865), By J.M. Stuart. Pub. by Hesperian Press, WA. Flett & Stuckey: Diversity of Fortune: William Flett (1806-1855), a Scot, and John Stuckey (1814-1890). By J.M. Bishop. Pub. by J.M. Biship 2003. Flinders Ranges Heritage Survey. Published by SA Dept of Environment, 1995. Ghost Towns of Australia. By George Farwell. Pub. by Rigby — Reprinted 1977. In the Tracks of the Camelmen. By Pamela Rajkowski. Pub. by Angus & Robertson, 1987. Kanyaka. By R H Schmidt. Pub. by District Council of Kanyaka, 1968. Kanyaka ruins : an historic link with the settlment of the Flinders Ranges. By M.H. Cugley. Pub. by Northern Naturalists Society (S. Aust.) 1974. Leigh Creek - An Oasis in the Desert. By Flinders Ranges Research. 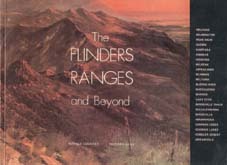 Natural History of the Flinders Range. By M. Twidale, C. R., Tyler, M. J. Davies. Pub. by Royal Society of South Australia, 1996. No roads go by. By Myrtle Rose White. Pub. by Rigby, 1973. On the margins of the good earth : the South Australian wheat frontier, 1869-1884. By D.W. Meinig. Pub. by South Australian Government Printer, 1988. Overland Telegraph: An Epic Feat of Endurance and Courage. By Frank Clune. Pub. by Angus & Robertson Publishers, 1955. Pastoral 150: The Pastoral Industry In The Central Flinders Ranges 1851-2001. By Tony Bott. Pub. 2001. Pichi Richi Railway, Flinders Ranges. By Alan Bayley. Pub. 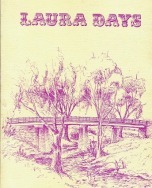 by Austrail Publications, 1975. Pichi Richi Railway, S.A. Text by Cil Dobré; photography by Pete Dobré. Pub. by Pete Dobré’s OzScapes, c2007. Range without Man: The Northern Flinders. By Colin Thiele. Pub. by Rigby. The Exploration of Australia. By Michael Cannon. Pub. by Reader’s Digest (Australia), 1999. The Ghan : the story of the Alice Springs railway. By B Fuller. Pub. by Rigby, 1978. 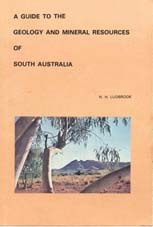 The Flinders history of South Australia. Edited by Eric Richards. Pub. by Wakefield Press, 1986. The Flinders Ranges and Beyond. By Ronald Coudrey, Richard Lang. Pub. by Axiom Books Pty Ltd. 1975. The History of Pichi Richi Railway. Compiled by Jack Babbage and Rodney Barrington. Pub. by the Pichi Richi Railway Preservation Society, 1984. 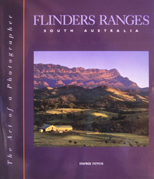 The Natural History of the Flinders Ranges. Editors M. Davies, C.R. Twidale and M.J. Tyler. Pub. Royal Society of South Australia, 1996. The Northern Flinders Ranges : mountains, minerals and mines 1850-1920. Written & Pub. by Nic Klaassen 1991. Time: In the Flinders Ranges. Written & Pub. by Alan Oserstock1971. The story of the Flinders Ranges. By Hans Mincham. Pub. by Rigby, 1983. Wilful Murder in the Outback. By Arch Burnett. Pub. 1973. Appila – Between the Ranges. History of Land Settlement 1872-1972. Written & Pub J D W Babbage & J D Francis 1972. Beltana – Six Miles. By E Lecky Payne. Pub. by Rigby 1974. 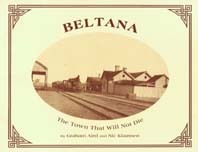 Beltana – The Town that will not Die. Written & Pub. by Graham Aird & Nic Klaassen 1984. Puttapa Springs from Beltana. By R.W. & M.E. Ragless. Pub. by Investigator Press 1986. Sliding Rock : to mine or not to mine. Written & Pub. by N. Klaassen, 1986. The rise and fall of Beltana - a settlement study. Written & Pub by I.K. Hull 1978. Plain of Contrast: A History of Willowie - Amyton - Booleroo Whim. By District Centenary Book Committee, Liz Blieschke. Pub. 1975. Booleroo Times – A History of the Hundred of Booleroo. By Arthur Burfield in association with the Booleroo Center Book Committee. Pub. by District Centenary Book Committee 1975. Carrieton – in the Gum Creek Country. By the Carrieton Centenary Book Committee. Pub. by Carrieton Centennial Book Committee (1978). Changing with Crystal Brook, 1873-1973. By J Poore. Pub. by The Centennial Committee & the District Council of Crystal Brook 1973. Dawson: Beyond the Gap - history of Dawson. Written & Pub by C. Chapman 1986. Gladstone – A meeting of creeks, a breaking of gauges. By Gladstone Centenary Committee 1980. Hawker — Hub of the Flinders. By Hans Mincham. Pub. by Hawker Centenary Committee 1980. Jamestown - a photographic study. By L. Cooper. Pub. by The Corporation of Jamestown 1978. Jamestown: Changing Boundaries - a history of 100 years of local government in the area in 1975 which constitutes the District Council of Jamestown. By Cooper, L.T. Pub. by District Council of Jamestown (1975). Change on Change. A History of the Northern Highlands of South Australia. By Nancy Robinson. Pub. by Nadjuri Australia, 1976. Jamestown: The lands of Yongala Station. By J.P. Gilstak. Pub. by Canowie Belt Hall Committee, Jamestown SA, 1986. Laura - Centenary Celebrations 1872-1972. By Laura Book Committee 1972. Leigh Creek - An Oasis in the Desert. By Nic Klaassen. Pub. by Flinders Ranges Research, 1997. The Leigh Creek coalfield. By G.G. Poole. Pub. by Minister of Works, 1946. 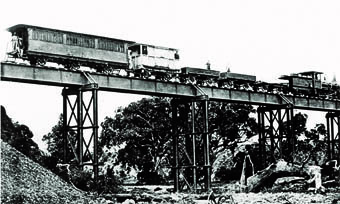 The Leigh Creek coalfield 1888-1982. Written & Pub. by the the Electricity Trust of South Australia 1983. Bend Down and Listen : folk tales from Mannanarie. By Nancy Robinson. Pub. by Lynton Publications, 1974. Child of the Mountain - a panorama of rural history. By J. Faull. Pub. by Melrose Historical Book Committee 1979. Melrose - One Remarkable Year. By Meredith Resce. Pub. by Golden Grain Publishing, 2003. Mount Remarkable - Quite Remarkable.The History of the formation of the District Council of Mount Remarkable. By Bronwyn Griffiths. Pub. by District Council of Mount Remarkable, 1986. Glimpses of Napperby since 1840. Written & Pub. by N.L. Haines 1977. 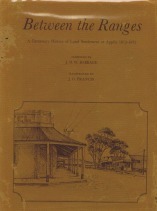 Orroroo, Rendezvous of the Magpie - a history of Orroroo and the Hundreds of Erskine, Walloway, Coomooroo and Black Rock Plains. By Nancy Parnell. Pub. by The Orroroo Centenary Committee 1975. Pekina Century and Beyond. By W. Czernezkyi. Pub. by The Pekina History Committee Czernezkyi 1974. Peterborough in Profile. By R. Goudie. Pub. by Peterborough Museum & Art Gallery Trust 1976. 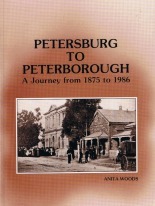 Petersburg to Peterborough. A Journey from 1875 to 1986. By Anita Woods. Pub. by eterborough & Local Districts History Club 1986. Petersburg and beyond - a history of pioneering Methodists in the North East of SA. By A Woods (1980). 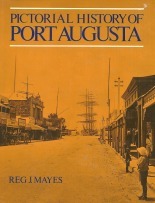 Port Augusta - Pictorial History of Port Augusta. By Reg J Mayes. Pub. Rigby, 1974. Port Augusta - Solid Town - the history of Port Augusta. Written & Pub. by R.J. Anderson. Italians of Port Pirie, a social history. By M.P. Corrieri. Pub. by Our Lady of Martyrs, Port Pirie & the Italian Community 1992. Port Pirie - Reluctant Harbour. By Nancy Robinson. Pub. by Nadjuri Australia, Jamestown 1976. Port Pirie, the friendly city - the undaunted years. By K Bullock. Pub. 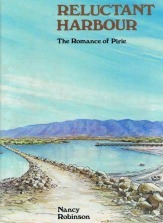 by Peacock Publications 1988. The Rise of Port Pirie. By J.L.R. Donley. Pub. by Port Pirie Branch, National Trust of SA, 1975. Quorn & District Centenary 1878-1978. By The Book Centenary Committee. Pub. by Lynton Publications, Blackwood, SA. 1978. Quorn - A Living History. By Quorn Toruism Association. Pub 1973. Quorn - A Pictorial History of Quorn and District. Commemorating One Hundred Years of Local Government 1883 - 1983. By A.R. Burden. Pub. by District Council of Kanyaka and Quorn (Comp., 1983). 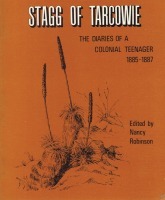 Tarcowie - Stagg of Tarcowie. The Diaries of a Colonial Teenager 1885-1887. Edited by Nancy Robinson. Pub by Lynton, 1973. Deceptive lands : a history of Terowie and surrounding hundreds in the mid-north of South Australia. By Roma Mattey. Pub. by Terowie Branch, South Australian Country Women’s Association 1968. Wilmington - Beautiful Valley. A History of Wilmington and District 1876-1976. By Wilmington Centenary Book Committee. Pub. 1976. Wirrabara - Yet Still They Live. Wirrabara’s Story. Written & Pub by Heather Sizer 1974. If you are looking for local history books on South Australia, then check out the ‘Gravesecrets at your fingertips’ web site at: http://www.gravesecrets.net. Artefacts of the Flinders Ranges: An illustrated dictionary of artefacts used by the Adnyamathanha. By Dorothy Tunbridge. Pub. by Pipa Wangka 1985. Australia’s Greatest Rock Art. By Grahame L. Walsh. Pub. by E.J. Brill/Robert Brown & Assoc P/L, Bathurst, NSW, 1988. Flinders Ranges Dreaming. By Dorothy Tunbridge in association with the Nepabunna Aboriginal School and the Adnyamathanha people of the Flinders Ranges, South Australia. Pub. by Australian Institute of Aboriginal Studies Press 1988. Minerawuta - Ra,m Paddock Gate. By Betty Ross. Pub. by Aboriginal Heritage Branch, Dept of Environment & Planning 1989. The Adnyamathanha People: Aboriginal People of the Flinders Ranges. Pub. by Education Dept of Australia 1992. The Riches of Ancient Australia — A Journey into Prehistory. By Josephine Flood. Pub. by University of Queensland Press 1990. Yura and Udnyu — A History of the Adnyamathanha of the North Flinders Ranges. By Peggy Brock. Pub. by Wakefield Press in association with the Aboriginal Heritage Branch, Dept. of Environment and Planning, South Australia, 1985. An Australian Landscape: Flinders Ranges. By Stavros Pippos. Pub. by Endeavour Publishing, 1996. 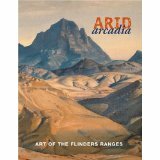 Arid Arcadia: Art of the Flinders Ranges. By Alisa Bunbury (Exhibition Curator) and edited by Jane Hylton & Penelope Curtin. Pub. by Art Gallery of South Australia. 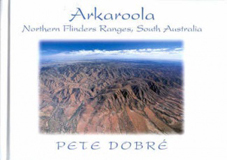 Arkaroola: Northern Flinders Ranges, South Australia. By Pete Dobre (Photographer), Cil Dobre’ (Author). Pub. by Pete Dobré’s OzScapes, 2000. Flinders Ranges Landscapes. By Fred Klix. Pub. by Rigby, 1970. Flinders Ranges South Australia - the art of a photographer. By Stavros Pippos. Pub. by Endeavour Publishing, 1993. The Flinders Ranges. By Hans Mincham, paintings by Bill Walls. Pub. by Rigby 1978. The Flinders Ranges: A Portrait. Photography by Eduard R. Domin ; text by Hans Mincham, Robert Swinbourne, Jean Cook ; foreword by Sir Mark Oliphant. Pub. by Little Hills Press, c1986. The Flinders Ranges, South Australia. By Kenneth Jack. Pub. by Australian Artists Editions, 1984. The Flinders Ranges, South Australia. Text by Cil Dobré; photography: Pete Dobré. Pub. by Pete Dobré’s OzScapes, 2000. South Australia: the Flinders Ranges in Color. Pub. by Penguin Books Australia, 1992. A Climber’s Guide to Moonarie. Available in good outdoor shops in Adelaide. Car Touring and Bushwalking in the Southern Flinders Ranges. By Grant Da Costa. Pub. by Acacia Vine P/L 1998. Gammon Ranges National Park and Arkaroola Sanctuary : a walking guide to the Northern Flinders Ranges. By Adrian Heard. Pub. by State Publishing, SA. 1990. Beltana trails : a guide to walking and driving tours of Beltana. Compiled by Graham Aird, 1984. Bushwalking in Australia. By John & Monica Chapman. Pub. by Lonely Planet, Vic, 1997. Flinders Ranges Walks. By Peter Beer. Pub. by Conservation Council of South Australia, 1981. The Heysen Trail - Book 2 - Spalding to Parachilna Gorge. By the Department for Environment and Heritage, SA. Walking the Flinders Ranges. By C. Warren Bonython. Pub. by Rigby 1971. The Complete Field Guide to Butterflies of Australia. By Michael F. Braby. Pub. by CSIRO 2004. A Field Guide to the Birds of Australia. By G. Pizzey. Pub. by Collins 1983. 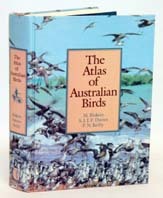 Atlas of Australian Birds. By M. Blakers, S. Davies & P. Reilly. 1984. Pub. by Melbourne University Press. The Birds of Australia. By Simpson & Day. Pub. by Penguin, 2010. The Slater Field Guide to Australian Birds. By P. Slater, P. Slater & R. Slater. Pub. by New Holland Publishers, 2009. A Field Guide to the Mammals of Australia. By Peter Menkhorst, Frank Knight. Pub. by Pub. by Oxford University Press, Melbourne 2004. 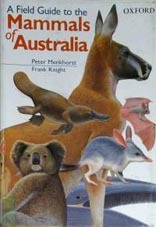 Cronin’s key guide Australian Mammals. By Leonard Cronin. Illustrations by Marion Westmacott. Pub. by Jacana, 2008. The mammals of Australia : the national photographic index of Australian wildlife. 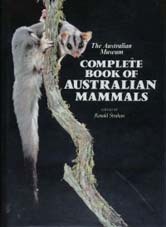 (Also titled: The Australian Museum Complete Book of Australian Mammals).Edited by Ronald Strahan. Pb. by Reed New Holland, 1998. A Guide to the Native Mammals of Australia. By W.D.L. Ride. Pub. by Oxford University Press 1980. The Oxford Guide to Mammals of Australia. By J. M. Taylor. Pub. by Oxford University Press, Melbourne 1984. The Story of the Flinders Ranges Mammals. By D Turnbridge. Published by Kangaroo Press Kenthurse. NSW, 1991. 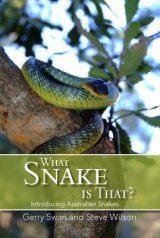 A Complete Guide to Reptiles of Australia. By Steve Wilson and Gerry Swan. Pub. 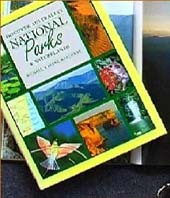 by New Holland Publishers 2008. Australia’s Dangerous Creatures. By David Underhill. Pub. by Reader’s Digest Services 1987. 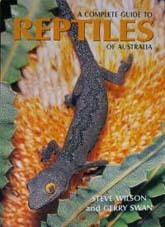 Cronin’s key guide : Australian reptiles & frogs. By Leonard Cronin. Pub. by Allen & Unwin, 2009. Lizards of Australia. By Stephen Swanson. Pub by Angus & Robertson, 1980. Reptiles & Amphibians of Australia. By Harold G. Cogger. Pub. by Reed New Holland, 2000. 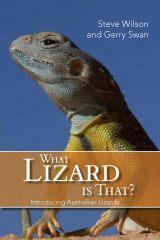 What Lizard Is That? By Gerry Swan and Steve Wilson. Pub. by New Holland Publishers 2009. What Snake is That? By Gerry Swan & Steve Wilson. Pub. 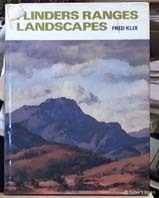 by New Holland Publishers 2008. 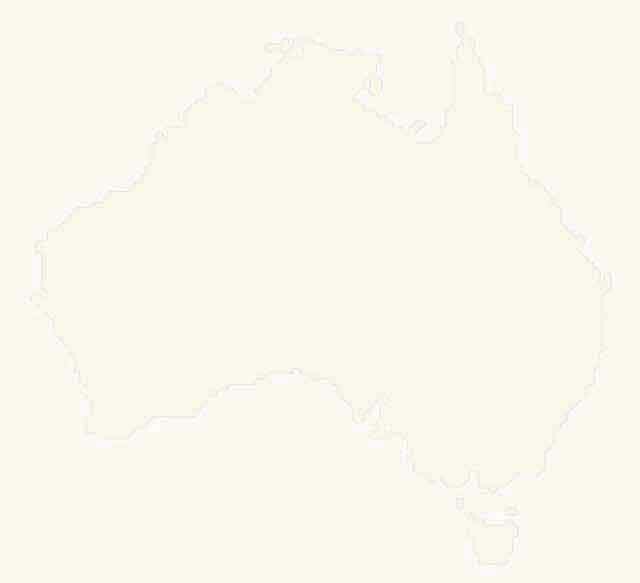 A Key Guide to Australian Trees. By Leonard Cronin. Pub. by Jacana Books, 2007. A Key Guide to Australian Wildflowers. By Leonard Cronin. Pub. by Jacana Books, 2008. Plant identikit : common plants of the Flinders Ranges. By Neville Bonney and Annie Reid. Pub. by Neville Bonney, 1993. Plants of the Flinders Ranges. By Ivan Holliday. Pub. by Rigby, 1975. Wildflowers & Plants of Central Australia. By Anne Urban. Pub. by Paul Fitzsimons, 2001. Wildflowers of the Southern Flinders Ranges : plant identikit. 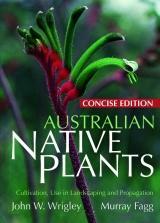 Compiled by members of the Society for Growing Australian Plants S.A. Pub. by Society for Growing Australian Plants S.A. Region, 1997. Wildflowers of the Northern Flinders Ranges. By Rosemary Pedler. Pub. by R. Pedler, 1994. Baits, Rigs & Lures for South Australian Fishing, written and compiled by Shane and Brett Mensforth. 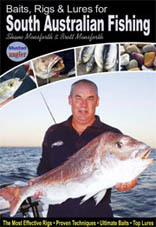 Fishing Guide to South Australia is a very comprehensive reference work for fishing in SA. Written by Shane Mensforth, the publisher and editor of South Australian Angler magazine. A Guide to the Geology & Mineral Resources of SA. By N.H. Ludbrook. Pub. by Dept. of Mines & Energy of SA, Govt. Pr., 1980. Above and Below - The South Australian Department of Mines and Energy, 1944 to 1994. By B.J. O’Neil. Pub. by Dept. for Manufacturing, Innovation, Trade, Resources & Energy, SA, 1995. Corridors Through Time — The Geology of the Flinders Ranges. By Jon Selby. Pub. by Dept of Mines & Energy, State Publishing, SA, 1990. Discover South Australia’s Mining Heritage trails. Pub. by Primary Industries and Resources SA, 1998. Fossils of the Flinders & Mt. Lofty Ranges. By Neville Pledge. Pub. by South Australian Museum 1999. Mountain Ranges Of South Australia, Including: Flinders Ranges National Park, Heysen Trail, Ediacara Hills, Quorn, South Australia, Flinders Ranges, Vulkathunha-Gammon Ranges National Park, Arkaroola, South Australia, Hawker, South Australia, Lake Frome. Pub. by Hephaestus Books 2011. Some semiprecious and ornamental stones of South Australia. Contributions from L.C. Barnes. Pub. by Govt printer 1980. South Australia’s Mining Heritage. Edited by Jonathan Selby. Pub. by South Australia. Dept. of Mines and Energy ; no. 7, 1987. Fossicker’s Guide to Gold, Minerals and Gemstones of SA. By Len Dallow. Pub. by Gemcraft Publications, 1983. 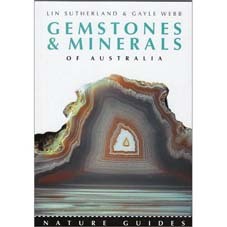 Gemstones & minerals of Australia. By Lin Sutherland & Gayle Webb. Pub. by New Holland, 2000. Goldfields of South Australia. By G.J. Drew. Pub. by Primary Industries and Resources SA, Minerals & Energy, 2004. Gold Prospecting. By Douglas M. Stone. Pub. by Outdoor Press, Lilydale, Vic, 1999. Handbook 3: A guide to the Geology and Mineral Resources of South Australia. By N.H. Ludbrook. Pub. by South Australia. (Dept. for Manufacturing, Innovation, Trade, Resources & Energy, SA.) 1980. Handbook 4: Some Semi-precious and Ornamental Stones of South Australia. By L.C. Barnes. Pub. by Dept. for Manufacturing, Innovation, Trade, Resources & Energy, SA, Government Printer, 1980. How & Where to Find Gemstones in Australia & New Zealand. Edited by Bill Myatt. Published by Summit Books, 1979.